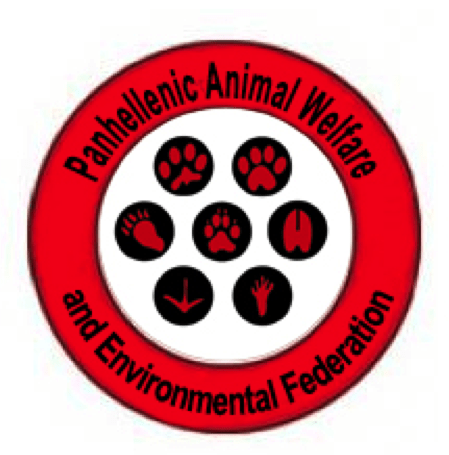 The Panhellenic Animal Welfare and Environmental Federation, was established on December 2010 and is the largest animal welfare organization in Greece consisting of 50 Associations while The Pan-hellenic Steering Committee consists of 115 Animal Welfare Unions. Their mission is the protection and upholding the rights of animals by taking legal and protesting actions. competent authorities (Ministries, Municipalities, Vet associations, District Attorneys) and creating an daily active lobby so as to have those plans legalized. the abolition of the use of euthanasia in cases of leishmania. 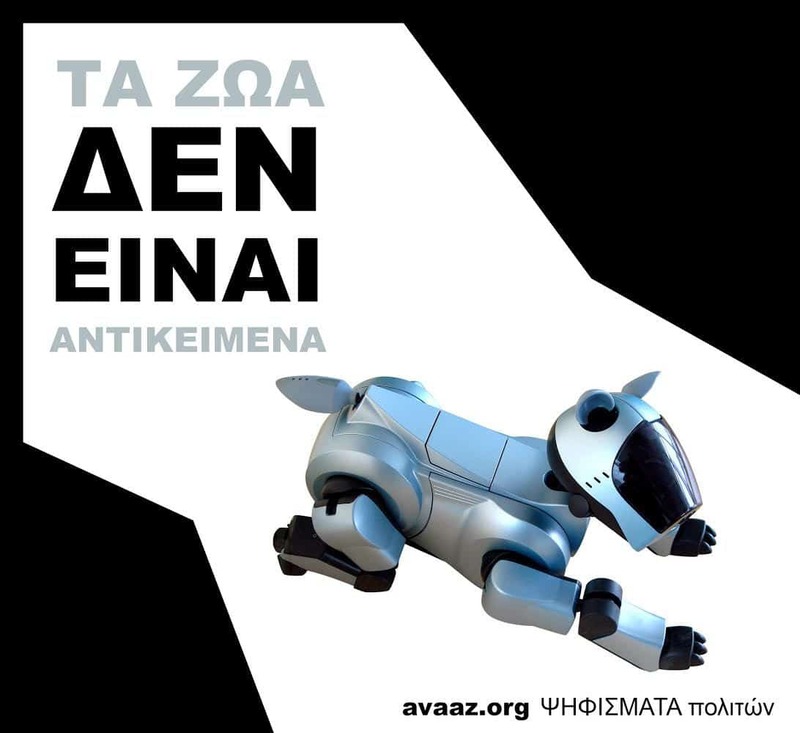 In November 2012, PFPO was invited to participate to the discussion held in Brussels with the topic, “stray animals in Greece, control of their population”. Campaigns and activistic protests to inform and make people aware of the correct and legal use of the animals as sentient and intelligent creatures. Some of these campaigns aimed to change the condition of the “barrel” dogs and the permanently chained animals, the improvement of the conditions of the Municipalities’ shelters and their function, the ban of the sale of any kind of animal at pet shops, the ban of the use of their fur, the ban of hunting, the ethical use of the livestock, the ban of the experiments on animals, the promotion of veganism. 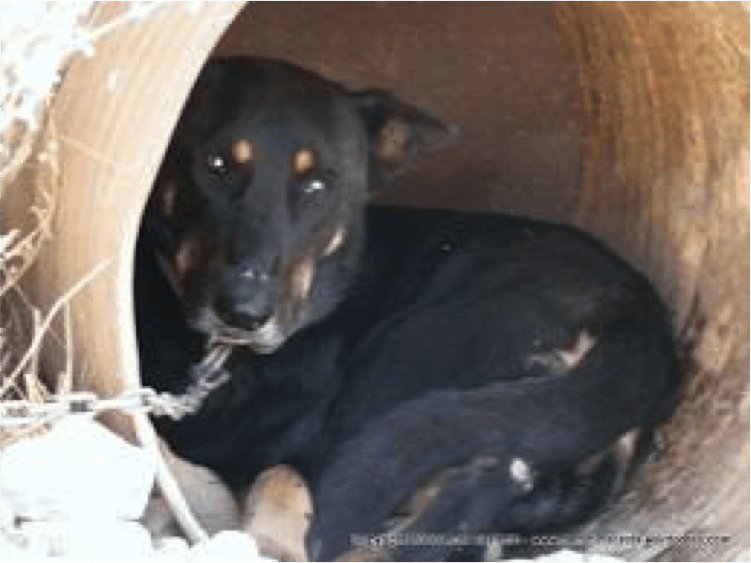 In particular, as regards the barrel dogs and their condition, PFPO not only campaigned to raise awareness on this phenomenon, but also managed to unify against it all authorities involved in the island of Crete. The reporting and taking legal measures against people or groups breaking the law on animal abuse. 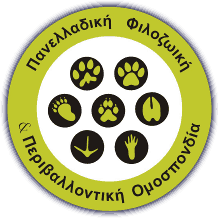 In October 2011 PFPO organized the “Meeting for the European Animal Welfare Culture in Greece today”. In February 2013 organized a workshop collaborating with the Union of District Attorneys as well as Supreme Courts Vice D.A, Mr Emmanuel –Roussos Papadakis, discussing ” Incidental issues of our legislation against EU’ s Recommendations, the implementation and the social approval” The result of this workshop was a circular issued by the Supreme Court “with regard to the clarification of matters that have been raised upon the application of the law 4039/2012”. 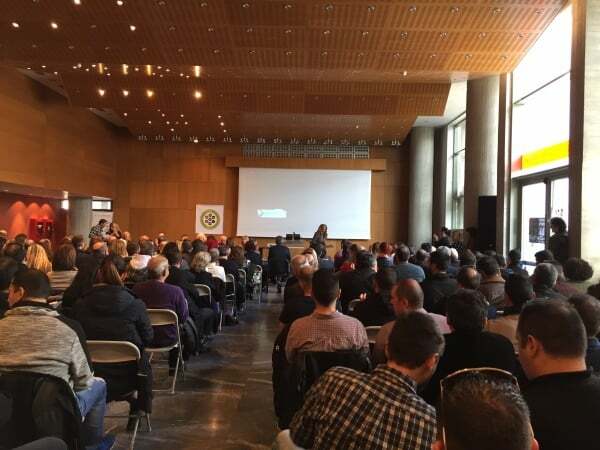 In this workshop speakers were Lawyers, Constitutionalists, District Attorneys, Professors of Philosophy, Veterinary Criminology and Psychiatrists as well as representatives from the Police Head Quarters and the Municipalities. 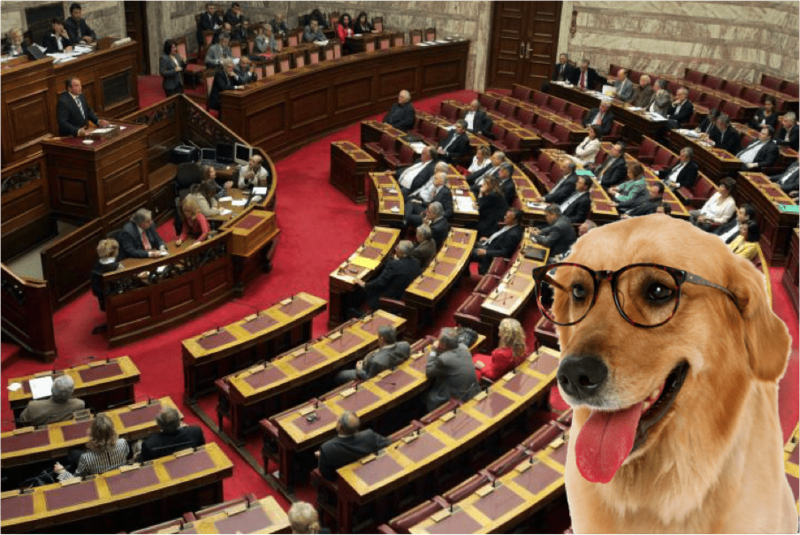 It has also been proved repeatedly that the legislation relative to the protection of the animals in general and the management of strays, as well as its application, are extremely insufficient. 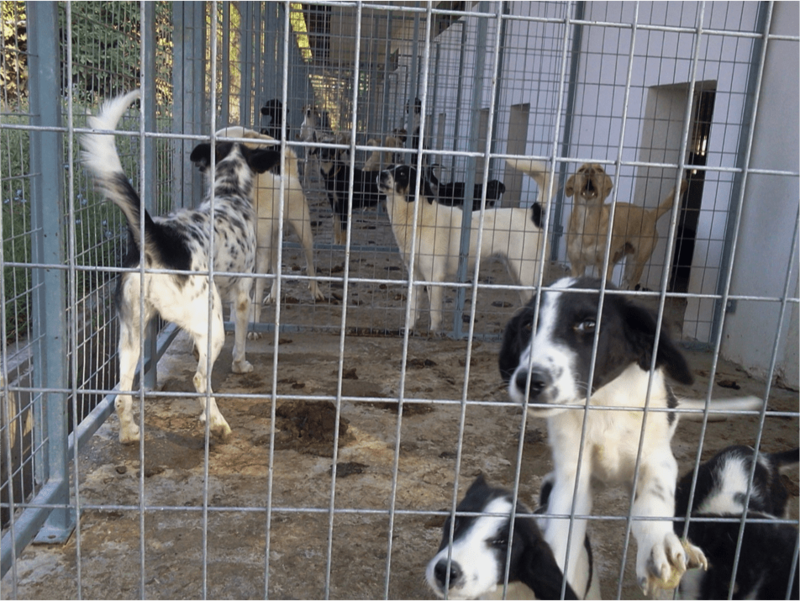 This has resulted in many municipal shelters in which are hosting up to several hundreds of them, just like in the case of municipal shelter of Serres. The Law 4039/2012, allows the collection of stays by the municipalities only when they have the necessary facilities and qualifications for this purpose such as specialized vehicles for animal transportation, the appropriate experienced personnel for the capture of the animals and, above all, a vet as a supervisor of the whole mission. In brief, the whole notion of collecting strays has radically changed. Their collection serves the sole purpose of their castration, vaccination, providing medical care where this is deemed necessary, their electronic marking and finally their relocation in their natural environment. 2016 was a hail of actions by our Federation at all levels, fronts, diverse, comprehensive and effective. We will try to report some of these by modules ase our daily action all these months is impossible to be recorded. With our interventions we achieved a lot. 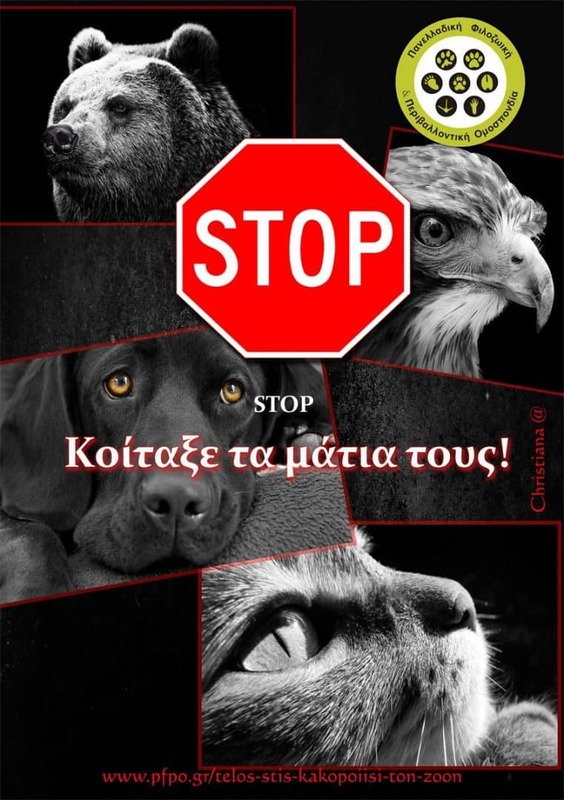 We stopped action against animals, we mobilized Municipalities, we denounced others, some of them brought to justice, we have helped hundreds of people facing various complaints or did not know how to deal with various situations, we contributed, as we did all these years, to the change of Animal Welfare status in Greece, we activated the Hellenic Police even more, we had contacts and meetings with the relevant ministries, castigated situations, phobias and superstitions about animals, etc. 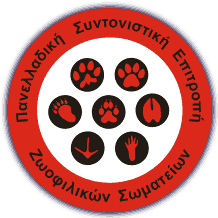 The Panhellenic Animal Welfare and Environmental Federation has been by now established in the public consciousness as well in the authorities’ as a collegiate struggling in every way, dynamic as well as scientifically, against the various relevant Authorities, against the perceptions and attitudes, which has contributed greatly over the years of its operation to the development for the better in the case of the animals in Greece. We did constant interventions in the following municipalities, by letters, articles, interviews, communication with Mayors and their deputies as well as lawsuits or extrajudicial protests against Municipalities for their actions or omissions in animal matters and for their kennels of shame. 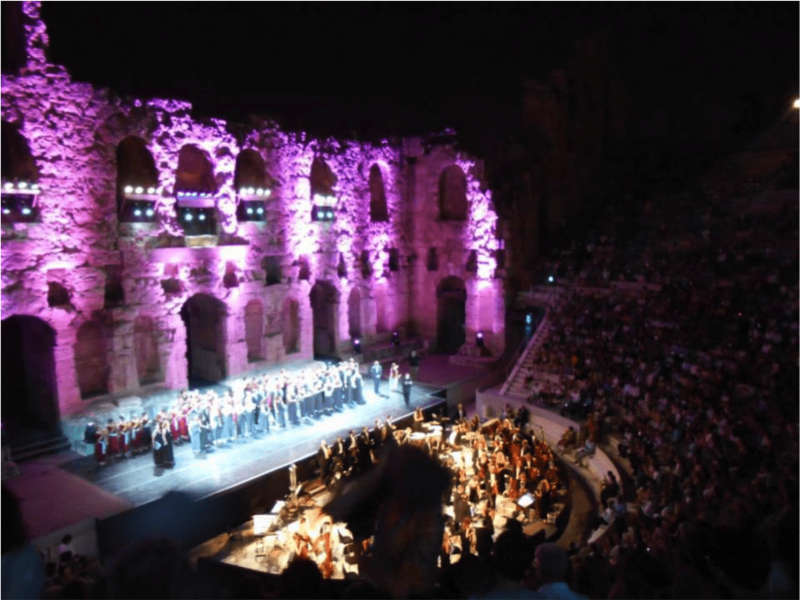 We mention some of them, such as Tinos, Kozani, Athens-DIKEPAZ, Sparta, Elassona, Tripoli, Chania, Heraklion Crete, Alikarnassos, Malevizi, Serres, Megalopolis, Kastoria, Florina, Rhodes, Ioannina, Lemnos, Skyros, Skopelos, Aegialia, Tempi, Amyntaio, Alexandria Imathia, Alexandroupoli, Sperchiada-Makrakomi, Kaisariani, Evrota, Volvi, Mantoudi, Amorgos, Kasos, Katerini, Spata, Apokoronas Chania, Sykeona, Pylaia-Chortiatis, Aidipsos, etc. We also intervened in the regions of Thessaloniki, Rhodes, West Macedonia, Southern Aegean. Our action for animals other than pets was rich. Diverse actions and complaints regarding the practice of “pastouroma” to productive animals as well as the equine, especially in Cyclades and Peloponnese. Actions, press releases and complaints against the participation of animals in various performances, theaters, various ceremonial events in local festivals, in workers and farmers protests, of course against the Attica Zoo dolphinarium, events and complaints against the fur animals industry in northern Greece, participation the Public Dialogue ofthe Ministry of the Environment for the hunting, protests and extrajudicial for hunting endangered animals, bulletins and reports on the barbaric customs during Easter, against the cetacean captivity with participation in global events against their captivity, press release for the planning of aquarium-circus in Helliniko, letters to ban hunting in areas of Attica and elsewhere, complaints regarding the show with sea lions in Corfu, against ERT for documentaries with tamers, circuses, etc., actions against the transport of new dolphins in Attica Park Dolphinarium from Finland, complaints to the competent authorities for the horrible death of the bottlenose dolphin and seal in the Aegean sea. 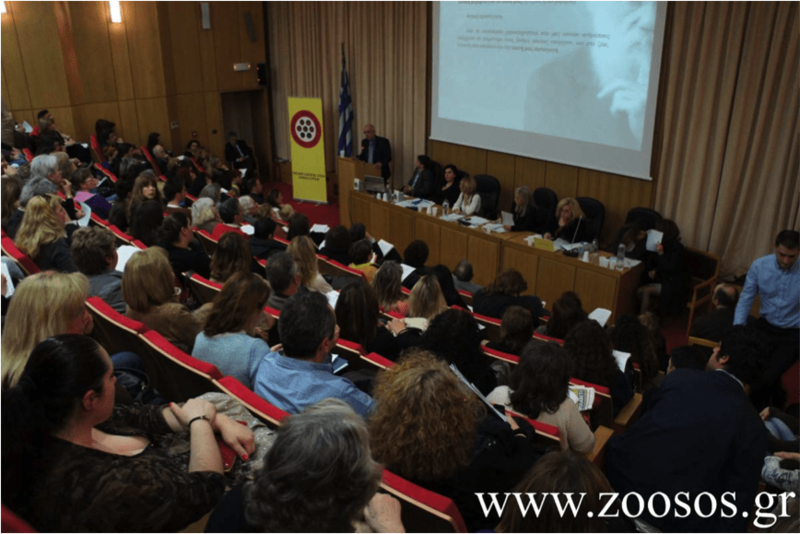 A fruitful cooperation with the international organization Born Free Foundation / ENDCAP for the zoos in our country and the Attica Zoo, has started and is ongoing. 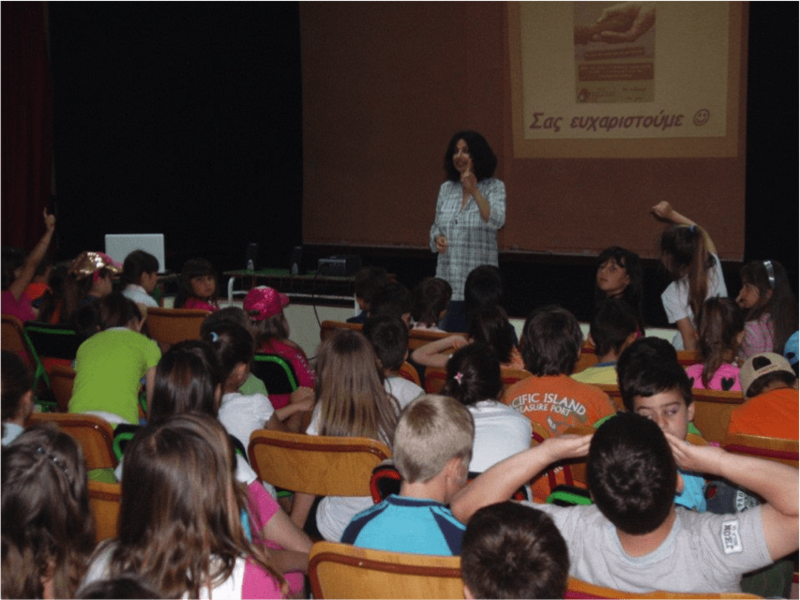 Our educational program “LIVING TOGETHER WITH THE ANIMALS AROUND ME” mainly for elementary schools having the approval of the Ministry of Education, has been presented so far to over 50,000 students across the country with excellent results. 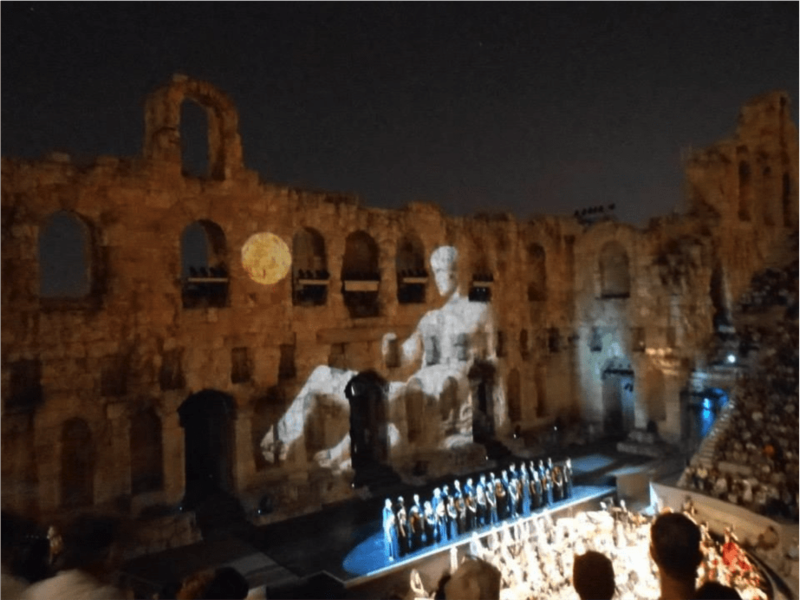 In Athens, Crete, Thessaloniki, Central Greece and in many other areas and islands. We sent also useful and varied educational material to teachers through the Ministry as well as directly from our volunteering base. Our new and richer program «Humans and Animals: Cohabitants in the same planet» was presented from the summer onwards, after getting once again the approval, to volunteers of our associations as well as to a great number of teachers. 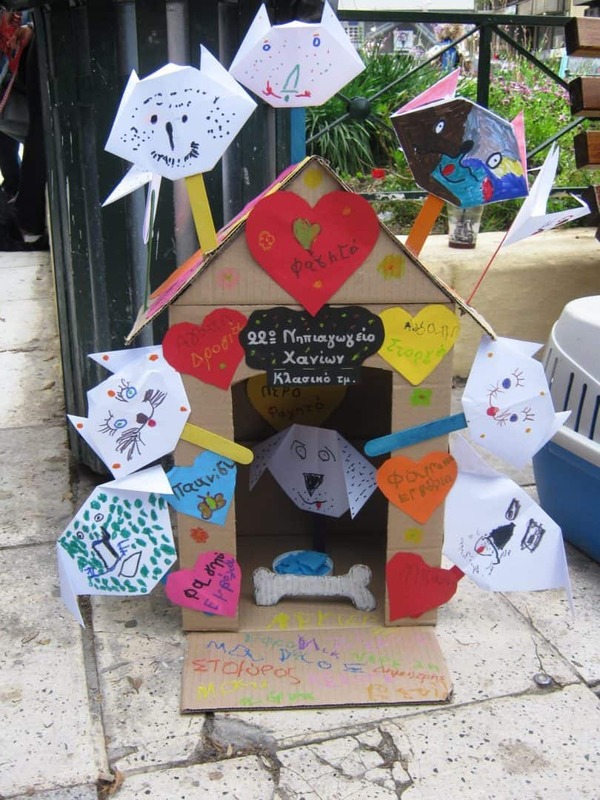 We conducted competition/contest (running at the moment), in elementary schools in northern and southern Greece with the subject “Summer memories with animals.” The contest ends on March 31 2017, the prizes will be awarded at a special event in Athens. The contest also has the approval of the Ministry of Education. 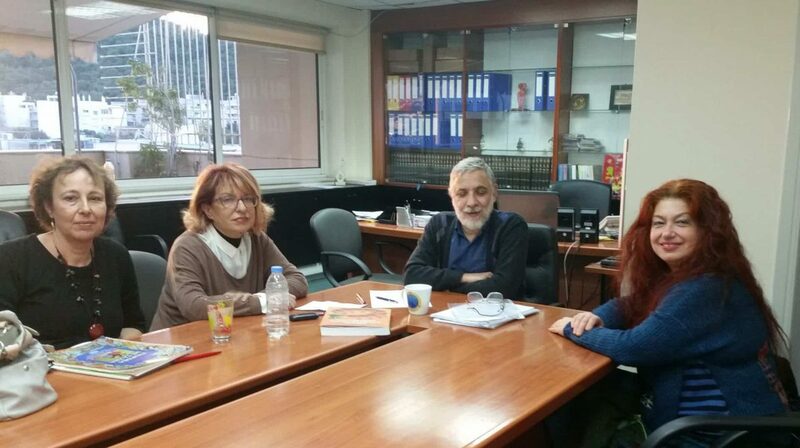 After our initiative and our contacts with the Vice President of the Institute for Educational Policy Mr. P. Harami, a committee at the Institute was created, which processes proposals for teaching material in school books about the animals and the environment. Specific gravity is on our efforts towards the upcoming revision of the Constitution to include article which will ensure in the constitutional protection of animals, from which will emerge various changes at the legal as well as at the daily living level for the animals. 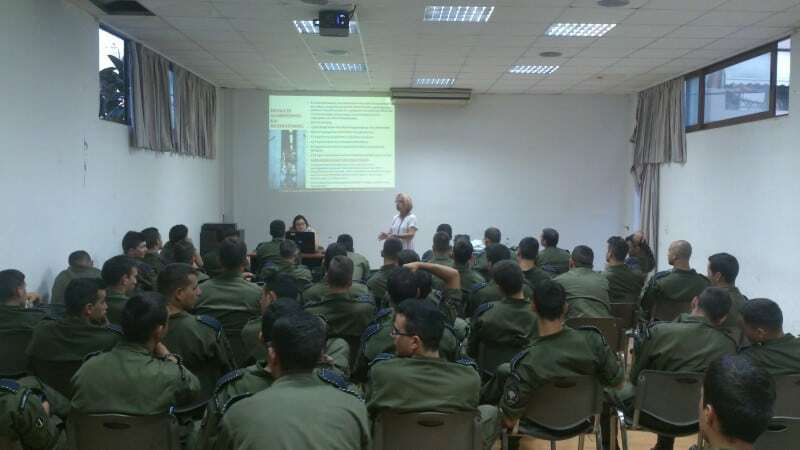 Too many interactive events of the Federation were held throughout the country, Seminars in Northern Greece and Crete, in Larisa with great success, attended by Prosecutors, Police and University authorities with great number of civilians and police officers, whose education/information was our main objective. In March, a relevant conference is being organised in Evia and Sterea Ellada, and we will continue with other regions of the country. These meetings are an important contribution towards improving the daily struggle by the volunteers for the protection of the animals. Together with our animal welfare associations we organised events for birds, events within the framework of the Let’s do it in Greece, 3-day event in Lemnos, protest rallies against Municipalities, we organized days of responsible adoption of pets, we participated in social protest rallies for the preservation of the environment, we organized evenings with vegan diet, events in Universities for the animals, participated in the Conference of KEDE in Thessaloniki with our speech, we signed a contract with Royal Canin by which many hundreds of strays across the country were fed, as well as with the company Viozois SA. We held several press conferences with the media nationwide or at a local level indicating or illuminating subjects about animals and often denouncing illegal practices of the Municipalities. After our intervention to members of the parliament, motions were submitted to the Parliament Plenum on various animal cases. Press releases are issued on many various issues. Indicatively, we will refer to our releases after meetings with Ministers,the Ministry of Rural Development and Food, of Education and IEP, of Environment, of Transports, of Citizen Protection, of Justice, of State, of Interior, press release after the various meetings and events, press releases on meetings with Mayors of Greek regions, after events in schools, press releases for unethical behavior of prosecutors, police officers, officials of ministries, press releases following our formal complaints about various issues concerning animals, press releases on the plague of the abandonment, for the thousands of poisonings both of domesticated animals and the wildlife, the massive abandonments of hunting dogs and our proposal to have them registered in the ministry database, etc. Continuous updating of the public by tv spots in a nationwide and local as well as in radio on many subjects as for “pastouroma” of the productive animals, the sterilizations, the obligations of the municipalities, citizens’ rights, abuse of animals, abandonments, our Christmas spot, etc. Interviews to tv channels, newspapers, shows. Posting of resolutions via Avaaz on various topics mainly on animal cruelty. 1. issues such as pending Minister’s Decision on the Law 4039/12 for breeders, dog trainers, transfer the database from the P.K.S. 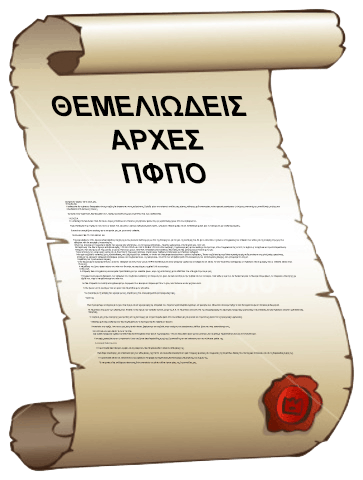 to the Ministry, adoptions, for the pet shops, the provision of scanners for the Hellenic Police, the ministerial decision on fines – some of them were finally issued as a result of our diversified pressure on them, etc. 7. the abolishment of the ritual slaughter. 8. the abuse of the productive animals during slaughter, installing cameras in the municipal slaughterhouses on other countries’ standards, the on-going amputations of animals for non-medical reasons, the ban on chocking colars. 12. the issuing of regulations on adoptions in the EU countries, circular for thelawful operation of the 5-member committees, etc. 8. irregular citations of the administrative fines, etc. We held meetings with the Minister Mr. N.Filis who was Minister at that time, and we had several face to face discussions with the Vice President of the Institute of Educational Policy in order to the public and through schools education of students about the respect that we owe to the animals and the environment. As we already have mentioned above, our proposal was accepted by the Institute of Educational Policy and a commission has already been set up, which processes the possible material that could be added in some textbooks on this subject. We also discussed the possibility of establishing a IEK or something similar which will be attended publicly by those who want to practice the profession of the dog trainer in order to stop the unaccountability, often dangerous for animals and humans, which prevails in this profession. a. the “education” school visits at Attica Zoological Park and Dolphinarium and to recommend to teachers to refrain from field trips to this area. c. to stop the education of students regarding the fur manufacturing. In our meeting with the Minister we presented our position for the free movement of pets in the Public Transporation and expect his decisions. We continue to strive for the establishment of bringing civil actions in animal cruelty cases as well as the strictier penalties for certain heinous abuse practices against them. 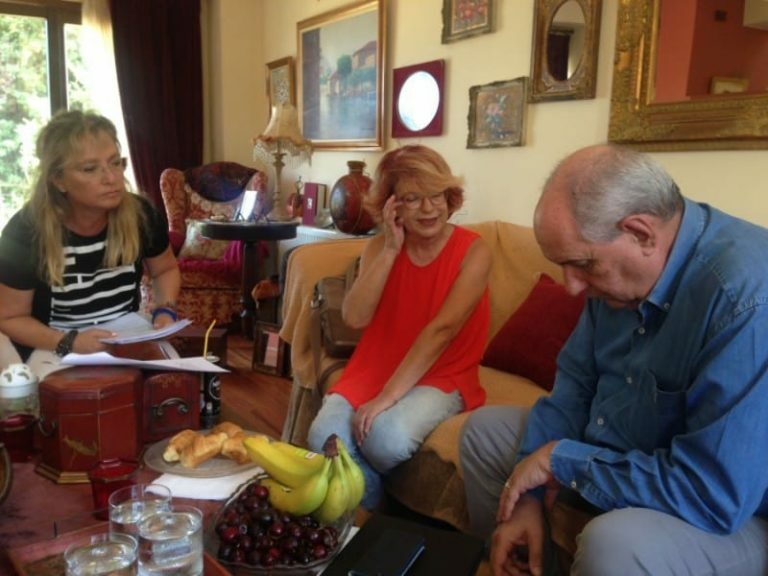 In 2016 we met the former Minister Mr.Paraskevopoulos, who agreed to the first request, but unfortunately his replacement halted the realisation of this request while we are currently in discussions on these two issues with the new Minister. 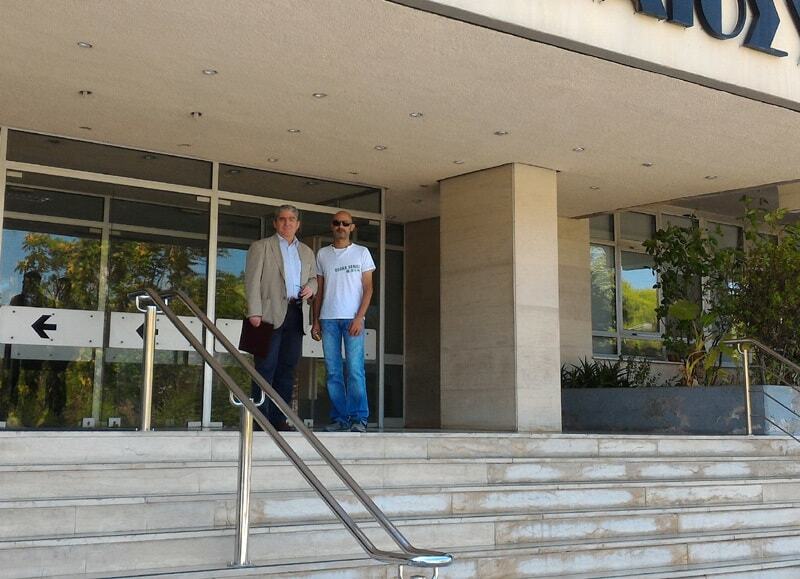 A meeting was held with the at the time Deputy Minister Mr.Tsironi on issues regarding Attica Park and the ban on cetacean captivity but unfortunately the Minister who comes from the Party of Ecogreens did nothing on this issue during his tenure in that ministry. Our efforts of course are continued until we achieve our goals. After our meeting with General Secretary of the Ministry and its other divisions, the Interior Ministry constantly intervenes following our Federation letters in matters concerning municipalities for acts or omissions. Our communication is continuous and several times constructive. After our continuous actions the prohibition of pets in the military cottages was resolved by Law. 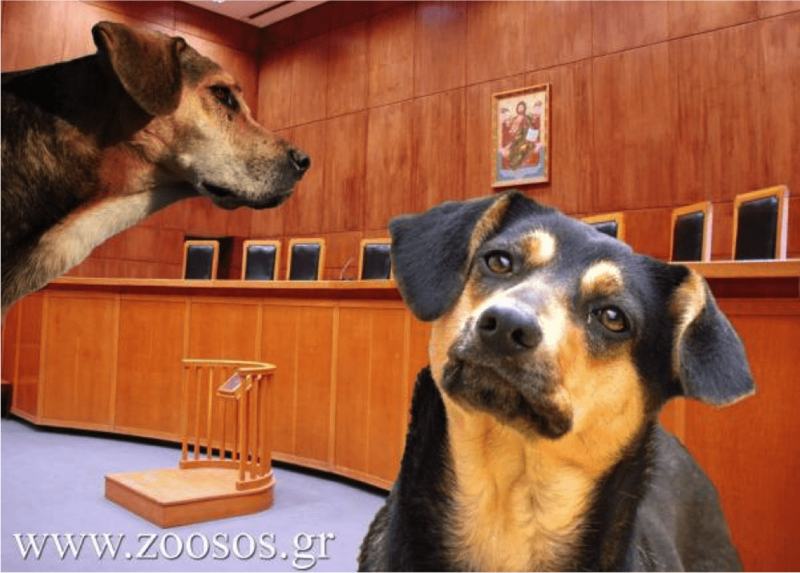 Our letters to the Supreme Court Prosecution for the municipal kennels across the country and in various local Prosecution resulted to start research about the conditions prevailing in them. 1. against the Ministry of Rural Development and Food for the following issues, some of which with the pressure exerted were solved or are on the way to be solved. 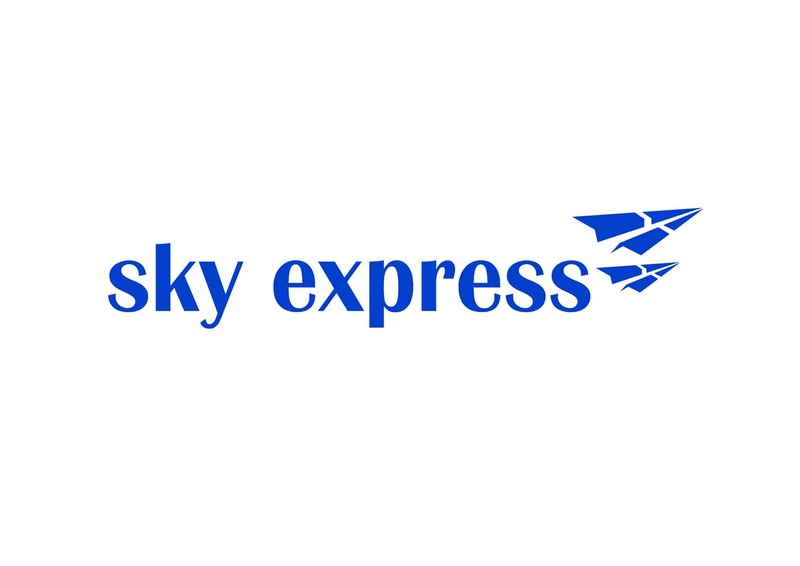 for the database, which until recently was improperly kept by the P.K.S. for not issuing the European TRACES certificate. extrajudicial protest for non-issuance of the Ministerial Decisions for the breeding of pet animals and for the pet trainers. The result of our interventions was also the opinion of the Legal Council of the State for the illegal breedings. 6. against newspapers and websites for the disperse of false news or defamation on adoptions in the EU countries. 7. 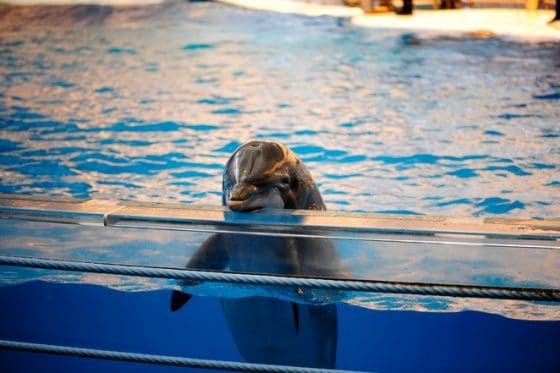 Appeal to the Hellenic Council of State for the annulµe?t of Skourletis decision to give permission to Attica Zoo for the Dolphinarium. 8. against owners of illegal pet-breeding. 10. lawsuits against those responsible for various rituals “customs” that occur in Greece and involve animal abuse. 11. lawsuits for the use of animals in various professional protest groups and rallies as well as during artistic performances but also for the use in various duels as dogfighting etc. With our public letters we denounced behaviors and Prosecutors decisions on various issues concerning animal cases. 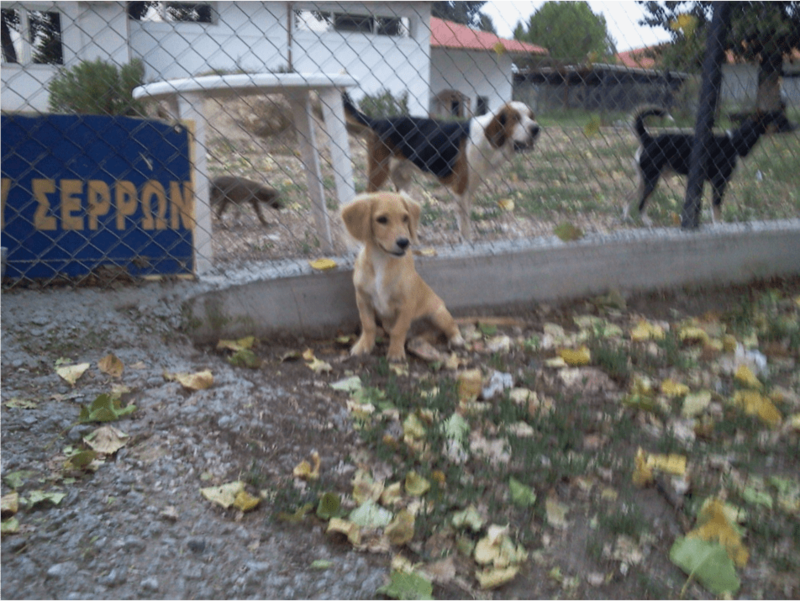 With our initiative, the institution of the Special Prosecutor on Animal Protection was expanded in Thessaloniki and for the first time was set in action the Institution of the Supervising Animal District Attorney for First Instance Courts which belong to the Appeal Court of Thessaloniki and is they are quite a few. Attached you may see our actions in detail. And in 2017, we will continue our fight for the protection and the rights of the animals at all levels and for all animals. Empower us with manpower to succeed even more. Because together we can do better.